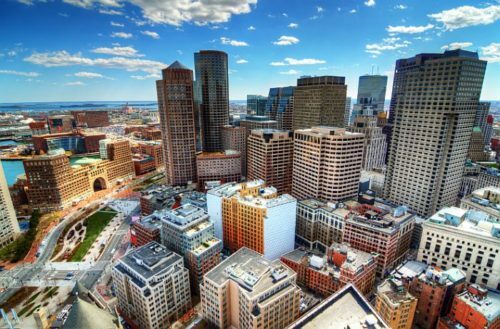 Cheap flights to USA: Boston for €375! FlyBe in cooperation with Delta now offer great prices of flights to USA. 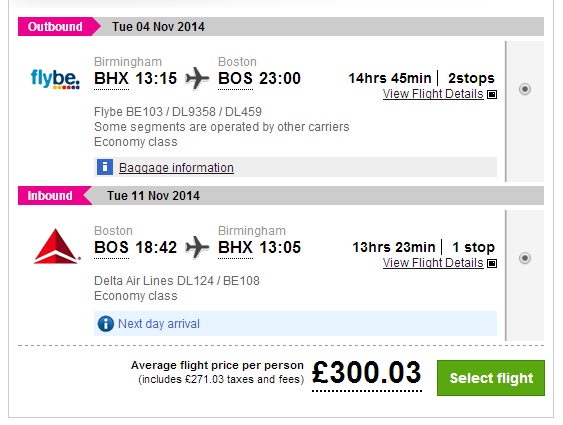 Return flights from Birmingham to Boston are available for only €375 / 300 GBP! Travel dates are from November 2014 until March 2015. 23 kg luggage is included and travel time is just 14 hours. Book via LastMinute.com, this deal is not available on other sites. « Cheap flights to Australia: Melbourne for only €657!